I drew some basic geometrical shapes, and have my son matched their counterparts (that I made from the coloured papers). It’s very easy and simple. 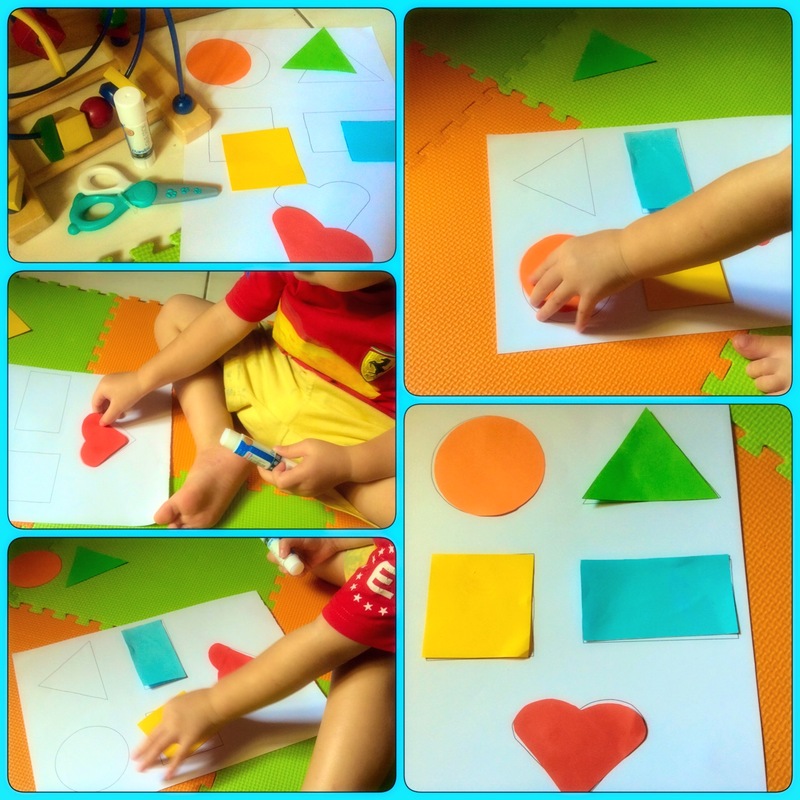 This activity also offered practice with color recognition and fine motor skills. Ps: we also made a mouse shapes craft , which is good to help our child become more familiar with basic shapes!